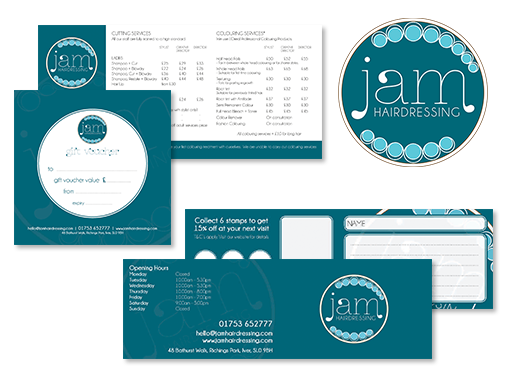 When JAM contacted me they were looking to develop a new brand and look for their salon. Having had the same look for 6 years they were looking to build upon their existing client base and look for ways of reaching out to more potential customers. Following consultation with JAM a new logo and colour scheme was developed. They did not have a website and so this was the next step in the project. A modern one-page website was created to give the salon the online presence it was missing. The new brand was extended to include new salon literature, appointment cards and gift vouchers and the new salon featured in its own photo session for display on the website and across social media platforms.